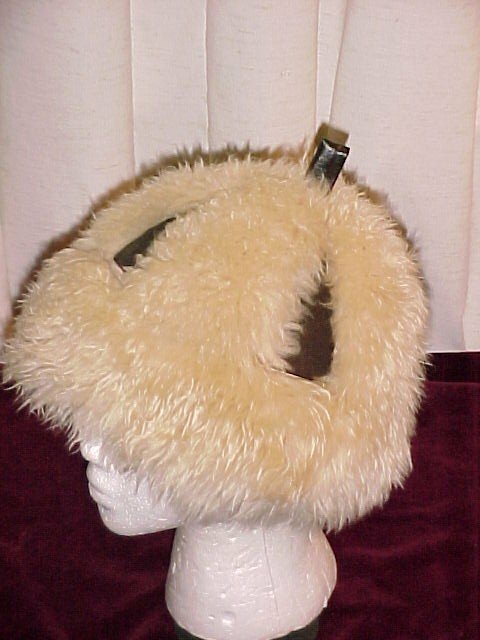 Stylish Mod Sheepskin Hat. It is done with alternating panels of sheepskin Shearling and faux brown leather that has a felt backing. The thick plush band is all sheepskin. It has a loop of leather on the top. There is a tag inside that reads "Dry clean only , Made in Italy. It has a 21" circumference at the band. The condition is great for a previously own vintage hat. Items Similar To "Vintage Italian Sheepskin / Shearling Leather Hat"